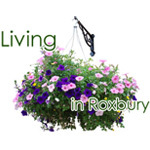 All Town of Roxbury property owners were sent a statement referred to as an Impact Notice, which contains important information about their new, preliminary assessment. Two public meetings will be held to report on the status of the 2015 town-wide revaluation effort. Both meetings will cover the same material and are held at two locations and times to afford interested property owners the opportunity to attend. Pursuant to Section 516 of the Real Property Tax Law, Notice is hereby given that the Final Assessment Roll for the Town of Roxbury, County of Delaware, for the year 2014 has been completed by the Assessor.